Three (More) Great Landmarks in Argentina! There’s no time like the present to hop on an Aerolineas Argentinas flight and head south, to the land of the tango, gauchos and some of the best beef around. With so much to offer, it’s hard to narrow down the must-see sights, especially if traveling on a short break. Mendoza Wine Region. You don’t need to be an oenophile to visit the Mendoza region, but it helps. 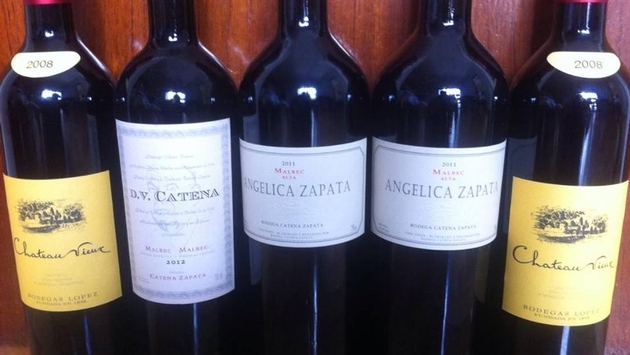 Argentinian wines are renowned around the world and Mendoza, sitting at the base of the Andes Mountains, is considered by one and all to be the heart of wine region. In fact, these vineyards are at some of the world’s highest altitudes. Spend a few days touring the vineyards, taking in the stunning scenery and of course sampling the wine. The area is best known for its Malbec, along with Cabernet Sauvignon, Tempranillo and Chardonnay. La Boca. This colorful neighborhood harkens back to the European roots of its settlers, many of whom came from Genoa, Italy, in the 1800s. Its colorfully painted houses and pedestrian streets make it a top choice for tourists and a popular subject for photographers the world over. Tango dancers perform along the Camenito, and the neighborhood is full of tango clubs and Italian taverns. Valley of the Moon. Also called Ischigualasto Provincial Park, this natural landmark has been formed over the course of thousands of years as strong winds have buffeted the cliffs, creating stunning rock formations of varying shapes and hues. Designated at UNESCO World Heritage Site in 2000, this protected area provides visitors with a glimpse back to the Triassic Period. Among the more interesting landmarks within the park are The Sphynx, the Mushroom and the Submarine.